2 - What Is Laser Hair Removal? Using a series of treatments designed to permanently remove unwanted body hair, Laser hair removal Toronto patients can take advantage of our treatment programs which are suitable for all skin types. Laser hair removal is for anyone looking to remove or minimize the appearance of unwanted hair — regardless of their skin pigment. Unlike other clinics, we offer laser hair removal Toronto patients can feel comfortable with by guaranteeing our laser hair removal results. If you do not see a 75% hair reduction or better, you will receive one or more complimentary treatments until you do. The Laser hair removal patients visiting our clinic in Toronto would be most familiar with is the use of laser energy to permanently remove, eliminate, and reduce the growth of unwanted hair. At SpaMedica we deploy a number of different devices, with the best possible wavelengths, and used in combination to optimize the success and degree of hair removal. For small areas, such as the underarms and bikini area, treatments are generally performed every six to ten weeks and a series of five treatments are usually required. For large zones, such as half legs, full legs, or the entire back, five treatments are required; performed every eight to 12 weeks. Each treatment takes approximately 15 to 30 minutes. Dr. Mulholland speaks about the laser hair removal Toronto patients most commonly undergo, speaking about benefits and process of the procedure. Laser hair removal is the use of laser energy to permanently eliminate and reduce the growth of unwanted hair. There are a number of good lasers that can accomplish this and 3 major wavelengths of laser and IPL light used to optimize the success and permanent reduction of hair growth from areas of unwanted hair. At SpaMedica, we deploy and integrate all of the different lasers, all with the best possible wavelengths used in combination to optimize the success and degree of permanent hair reduction. When Toronto patients are looking for the best permanent hair reduction, at competitive prices, they come to SpaMedica. We have offered laser hair removal longer than anyone else in Canada, have the most experience, the most current technologies and offer the best possible lasers and combination wavelengths with the best possible results. Most medical spas and laser centers, offer 1 kind of laser and treatment, however at SpaMedica we have over 10 lasers to bring you the best possible outcomes! What is the SpaMedica “Best Permanent Hair Reduction” Guarantee? SpaMedica and Dr. Mulholland have been at the very forefront of Laser Hair Removal since 1996 and was responsible for the introduction of the very first system for laser hair removal Toronto had access to: the EpiLaser. Over the past 20 years, Dr. Mulholland has strategically acquired every laser wavelength and energy device that causes permanent reduction. As there is no one laser that will consistently deliver 100% complete, permanent hair reduction, the combination of different laser systems will give Toronto hair removal patients the best possible permanent results. Depending upon the skin type of the patient, several of the leading laser wavelengths and devices will be selected and deployed during a 6-treatment package to ensure the best permanent death of hair. SpaMedica and Dr. Mulholland are so confident in the multiple laser, multiple wavelength approach to laser hair removal that they will provide a guarantee of permanent reduction. Any patient with Dark Hair AND light or dark skin should be able to achieve 75% or better permanent reduction, or will receive 1 or more complimentary laser hair removal treatment. For any patient to activate the SpaMedica Best Permanent Hair Reduction guarantee, simply print off this PDF and bring it to your initial consultation. At SpaMedica, laser hair removal starts with a consultation with a very experienced laser technician. SpaMedica is Canada’s leader and pioneer in laser hair removal, performing this since 1997. Dr. Mulholland has been personally involved in the development of every major laser that delivers laser hair removal and every wavelength of laser energy used to permanently reduce hair. What do I do on the day of my laser hair removal? Once the right wavelengths and combination of wavelengths have been selected for you, the SpaMedica laser hair removal treatment program is very simply performed. The area is shaved quite short, so only a stubble of hair is emerging from the skin. It is important you come to the clinic with stubble so the laser nurse can see the full extent of your unwanted hair removal zone. The Laser Hair Removal system releases a bundle of light energy called a photon. Photons have an attraction to different pigments in the skin. The attraction is dependent upon the specific wavelength of the photon. A photon is light energy and like sound energy, photons travel in waves. The peak to peak distance between the waves is the called the wavelength. Certain wavelengths are more attracted to hemoglobin (blood vessel disorders), while other wavelengths are attracted to melanin or the brown pigment in the skin and brown pigment down the hair shaft. By selecting the correct wavelength of laser light, we can selectively kill hair, while minimizing any collateral damage to the surrounding skin. The most specific wavelengths of photons for laser hair removal and photon injury for permanent hair reduction are the 755 nm Alexandrite lasers and these photons are specifically attracted to dark pigment, or melanin of the hair shaft and will selectively target and bind to the melanin of the dark hair shaft and create heat that then radiates out to the specific cells in the bulbs that make new hair shafts and, more superficially to the bulge cells, that have the stem cells that repopulate her bulbs during a growing cycle. The 755 nm Alexandrite laser is most effective in lighter skinned laser hair removal patients, with dark hair. The three most important hair removal wavelengths are the 755 mm Alexandrite lasers, the 810 nm Diode lasers and the 1064 nm NdYAG lasers. SpaMedica has several Alexandrite, Diode and YAG lasers to choose from to ensure you get the best possible permanent reduction. The NdYAG 1064nm lasers (Gentlemax Pro and Elite) are for darker skinned patients, while the 755nm Alexandrites (the Gentlelase and the Elite) are best for light skinned patients with dark hair. The 810 nm Diode lasers (Lightsheer, Vectus and Venus Velocity) are good for both light and dark-skinned patients with dark hair. The Triton is the most advanced of the SpaMedica family of laser hair removal devices and has all three wavelengths in one system, the 755nm, 810nm and 1064 nm. Further the Triton, can emit the 755nm-810nm in a single pulse, called the Dual-Light hand piece, as well as the 810nm-1064nm, called the dual dark, to ensure the best possible permanent hair reduction for all skin types, from light to dark. How does the laser kill the hair? The shorter the wavelength the more aggressive the photon is attracted to melanin in the hair shaft and melanin in the skin and the longer the wavelength, the less aggressively the photon is attracted to melanin in darker skin. During your laser hair removal consultation, the SpaMedica laser hair removal consultant will analyze the variables of hair density, shaft diameter, follicular depth, skin type and melanin concentration and transient factors such as the presence of a sun tan, to determine which of the many SpaMedica laser hair removal systems will be best suited to your treatment. SpaMedica is Canada’s most comprehensive laser hair removal center, with multiple lasers in each wavelength category including double wavelength pulsed lasers to ensure that you get the best possible permanent reduction. Once the best laser hair removal device has been selected and the optimal parameters determined, the treatment is initiated. The area must have visible hair growing and should be shaved to a 2-3mm stubble. The laser applicator is then applied over the area and the laser energy delivered. The laser photon energy travels down the hair shaft, heating up the hair shaft until the shaft is photo-coagulated (smell of burnt hair). The hair shaft acts as a “lightning rod” for absorption of the light-based energy from the laser. The absorption of the laser energy in the hair shaft results in heat and this heat spreads out from the hair shaft, up to the special cells called the internal and external root sheath cells that lie around the bulb, the “factory” that produces the hair shaft, and the bulge, where the primordial stem cells live that lead to new hair bulbs during the telogen (sleeping) and anagen (growing) phases of hair growth. The localized heat from lasering the hair shaft then kills the bulb and the bulge cells preventing the production of a new hair shaft or a new hair bulb. Without melanin in the hair shaft (dark hair) the laser will not be attracted and there will be no heat, thus grey, blond and red-haired patients are not good laser hair removal candidates. The laser hair removal treatment is very quick and after a successful treatment, you will notice the smell of photocoagulation (which is the smell of burnt hair shafts) as well as little red bumps and swellings around the hair shafts. You will also notice extrusion of dead hair shafts over the first seven to 21 days following your treatment. Figure 1. The laser energy is attracted to the melanin in the hair shaft and is absorbed by the melanin in the hair. The heat then travels from the hair shaft out to the stem cells in the bulge near the top of the hair shaft and the bulb cells at the bottom of the hair shaft. If the wavelength is correct, the energy and pulse duration and spot size optimized, then there will be enough heat to kill the actively growing hair bulbs and lead to permanent reduction. Over a series of treatments most of the hair bulbs will be treated in active Anagen or growth phase. Figure 2. The heat from the laser energy being absorbed by the melanin in the hair shaft radiated out to the Bulge Cells, which lead to the new bulb during the next Anagen cycle, and the Bulb cells at the base of the hair shaft, which make the hair shaft. By destroying the cells in these two regions, permanent hair reduction can be achieved. Why do I need 5 treatments for my laser hair removal? Some hair bulbs are sleeping, and some are actively producing hair. The laser needs a dark hair shaft to create heat and destroy the bulb and the bulbs that are sleeping have no shaft. Thus, laser hair removal treatments are performed every time hair starts growing again, and, over the series of treatments the sleeping bulbs, will enter a growing phase and eventually be treated and 75% or more of the hair will be permanently reduced. What are the best laser wavelengths to kill hair? There are 3 major laser wavelengths that can be used to permanently reduce and kill hair. 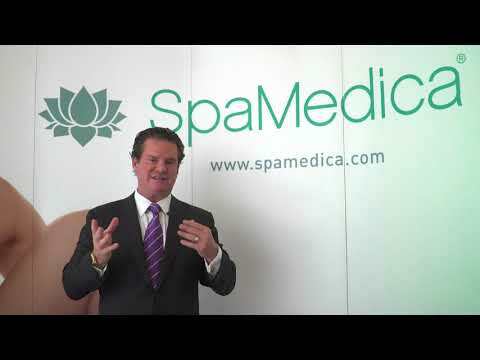 At SpaMedica Toronto, we have several versions of all three, to ensure the best outcome. The 755 nm Alexandrite lasers (Elite, Gentlelase, GentleMax Pro) are very effective in treating light skin with dark hair, however, can be dangerous when used alone in treating tanned or darker skinned laser hair removal patients. The 810 nm diode lasers (Lightsheer, Vectus, Diolaze, Venus Velocity and Soprano), are also good at treating light skin with dark hair, but can be used in brown and dark skin with dark hair (with special settings). Finally, the 1064 nm NdYAG, or YAG lasers (Elite, GentleYAG, GentleMax Pro) are the safest at treating dark skin with dark hair. At SpaMedica Toronto, we have all three wavelengths and several versions of each to ensure the best lasers are deployed to get you the best outcome. The Triton, is the zenith of laser hair removal devices and is used for permanent laser hair removal by putting all three major laser wavelengths in one laser device AND, delivers at double wavelength with each pulse! For lighter skin with dark hair, the 755 nm Alexandrite – and 810 nm Diode are combined and are emitted in every pulse, giving the best possible permanent hair reduction for light skin and dark hair patients. For Darker skin patients with dark hair, the 810 nm diode – and NdYAG 1064 nm wavelengths are released in the same pulse to optimize the permanent reduction for darker skin patients with dark hair. Laser Hair Removal candidates for laser hair removal are realistic patients who have a solid understanding of the risks of recovery and benefits of the procedure. In general there are very few risks resulting from laser hair removal, but the application of any laser can result in a thermal injury, pigmentation abnormalities and a scar, unless you select a center, like SpaMedica, that has a high degree of experience in the application of laser energy to reduce these risks as much as possible. Some centers will decrease the energy of your treatment (the fluence) or use low fluence, long pulse durations, or high-repetition laser systems that have virtually no risk but also greatly reduce the efficacy and success of your permanent reduction. Often these kinds of low energy, high speed laser systems will result in 10, 12 or 14 treatments and you will find 50% or less of the hair follicles have been permanently reduced. Good laser hair removal candidates have realistic expectations about the range of permanent laser hair reduction (the amount of hair that never grows back). At SpaMedica being between 50% – 80% of all hair can be permanently reduced in most individuals after a series of treatments, using combinations of different wavelengths. Most commonly, 5 treatments will be required to optimize permanent reduction. Light skin patients, with dark hair are the ideal skin type and candidate for Laser Hair removal and permanent hair reduction. Light skinned patients have little melanin or pigment in the skin, so the photons and light energy from the laser will be able to travel through the pale skin and be attracted almost exclusively to the melanin in dark hair shaft, creating optimal localized heat and the most efficient permanent reduction and destruction of the hair bulb and bulge. The 755 nm Alexandrite and the 810 mm diode are the best laser wavelengths for light skin and dark hair. For dark skin and dark hair there will be competing melanin in the skin that will absorb some of the photons from the laser hair removal energy and could, potentially cause pigmentation problems, either hyper-pigmentation or more pigment, or hypo-pigmentation. Therefore for darker skin types, it is important to select wavelengths of laser hair removal light that have more beneficial dark skin features, including longer wavelength (the 1064 nm or 810 mm diode) longer pulse duration and lower energy, all of which minimize the effect of darker pigment in the skin, while still allowing the photons from the laser to target the darker pigment and melanin in the hair shaft. The best wavelengths of laser hair removal for darker hair skin patients include the 1064 nm NdYAG and long pulsed, low-energy 810 nm diode lasers. At SpaMedica, we have multiple numbers of lasers from each laser hair removal wavelength and we are best positioned to offer you the best possible combination of lasers and combinations of wavelengths to give you the best permanent hair reduction, no matter what your skin color is. How does skin color affect the success of laser hair removal? For dark skin and dark hair there will be competing melanin in the skin that will absorb some of the photons from the laser hair removal energy and could, potentially cause pigmentation problems, either hyper-pigmentation or more pigment, or hypo-pigmentation. Therefore for darker skin types, it is important to select wavelengths of laser hair removal light that have more beneficial dark skin features, including longer wavelength (the 1064 nm or 810 mm diode), longer pulse duration and lower energy,all of which minimize the effect of darker pigment in the skin, while still allowing the photons from the laser to target the darker pigment and melanin in the hair shaft. The best wavelengths of laser hair removal for darker hair skin patients include the 1064 nm NdYAG and long pulsed, low-energy 810 nm diode lasers. At SpaMedica, we have multiple numbers of lasers from each laser hair removal wavelength and we are best positioned to offer you the best possible combination of lasers and combinations of wavelengths to give you the best permanent hair reduction, no matter what your skin color is. Will laser hair removal work on red, blond or grey hair? Permeant laser hair removal results on grey, blond or red-haired patients are usually quite unsuccessful and generally not offered. The reason for this is there is not enough dark pigment, called melanin in the hair shafts and therefore the laser hair removal photons do not have a target to bind and hence when treating lighter hair, the laser cannot create heat and cannot create a strong enough thermal energy to cause permanent damage to the bulb or bulge and there is no permanent reduction. Dr. Mulholland and SpaMedica have tried every modality that has been advanced and proposed for treating grey, blond and red hair with permanent reduction including application of topical pigment gel, such as Melodyne and, the application of radiofrequency energy and other tactics and strategies with no significant success. With grey, blond and red hair patients, we do not recommend laser hair removal but rather more traditional depilatory techniques such as waxing, electrolysis and shaving. Can laser hair removal be performed on tanned skin? Performing laser hair removal on tan skinned is very risky. The reason for the increased risk is the increased melanin or dark pigment in the superficial layers of the skin that occurs during the tanning process. This increased concentration of superficial dark pigment in the skin from the tan will attract and absorb the photons and bundles of energy from the laser hair removal device, which can react with the melanin in the skin creating excessive heat, a thermal injury and a scar or changes in skin pigmentation. If you have tanned skin it is always recommended that you allow the tent to fade before you begin doing laser hair removal or permanent chair reduction. If you have chronically tanned, photo aged skin from long term sun exposure, but do not have an acute, or dense recently achieved tan, then laser hair removal may be offered with more conservative parameters, such as a longer wavelength laser, less energy, more cooling and/or a long pulse duration. With 10 different high tech, laser hair removal systems to choose from, SpaMedica can offer patients with chronic tanned skin permeant, safe laser hair removal. During your SpaMedica laser hair removal consultation, the presence of a chronic tan and photoaging will be assessed and the safest, most effective laser hair removal system or systems and or combinations of wavelengths will be selected to optimize the permanent reduction of hair and to minimize the risk of laser skin interaction and skin complication from your chronically tanned skin. What are the Contraindications to laser hair removal? Contraindications to permanent laser hair removal Toronto patients should be aware of include those individuals who may be pregnant at the time of the procedure or individuals with an inflammatory, infectious or cancerous growth in the region of treatment. At SpaMedica individuals with DARK skin, Caribbean or south East Indian, are still good candidates for laser hair removal, as the correct wavelength, the NdYAG (Neodymium YAG, 1064nm wavelength laser is used) or the Triton (1064 nm + 810 nm) lasers are used. Other contraindications include unrealistic expectations, pregnancy, uncontrolled autoimmune disorders and open sores or skin cancers in the treatment area. Treating over a tattoo with a laser hair removal can be performed but the tattoo may be lightened. What are the specific Lasers that SpaMedica will use to get me the best permanent hair reduction? At SpaMedica we can deploy 14 different lasers in your customized laser hair removal program, ensuring you have the best possible permanent hair reduction and the fewest possible un-responsive hairs. What is the Triton triple wavelength laser? The Triton is the industry’s highest tech and newest laser. The Triton, as the name suggests is the “god” of laser hair removal Toronto patients have access to. It has all three of the best wavelengths in one device, the 755 nm Alexandrite, the 810 nm Diode and the 1064 nm NdYAG. Further, the Triton allows the 755 nm and the 810 nm wavelengths to be fired in the same pulse with the Duo Light handpiece. For patient with light skin and dark hair this gives the best results, as the 755 nm Alexandritegets the superficial hair bulbs and the 810 nm Diode attackesthe deeper bulbs. For darker skin patients, the Duo dark hand piece houses the 810 nm and 1064nm NdYAG laser wavelengths, which are are released in the same pulse to by-pass the darker skin and get to the hair bulbs. Figure 3. The Triton contains the 755 nm, 810 nm and 1064nm wavelengths in one device and the Duo Light hand piece releases the 755-810nm in the same pulse, for light skinned patient with dark hair. For darker skin patients, the Duo Dark hand piece releases the 810nm-1064 nm wavelengths which can bypass the increased melanin in the skin and attack the bulb and bulges for good permanent reduction in dark skinned patients. the 810 nm wavelength is excellent for light, medium and darker skin type patients with dark hair. The Vectus (Cynosure) is very fast, able to complete an entire back, chest or lower leg in under 6-8 minutes and is very well cooled to minimize discomfort. The Vectus Diode Laser is manufactured by the well known laser company Cynosure. The Vectus is the fastest Diode Laser Hair removal system on the planet, at 9 cm2 per second. Figure 4. The Vectus 810 nm Diode laser hair removal high speed laser machine. Toronto laser hair removal patients can expect a very efficacious permanent reduction and a very fast treatment with little discomfort. Like the Vectus, the Lightsheer is also a well known 810 nm diode laser and is excellent for patients with light, medium and darker skin with dark hair. The Lightsheer Duet (Lumenis) also has a suction coupled hand piece which greatly reduces pain and enhances efficacy. The LightSheer Duet is also very fast at 6.75 cm2 per second. Figure 5. The LightSheer Duet Laser Hair removal 810nm diode. The LightSheer is one of the best known and successful lasers and like the Vectus, is very fast, efficacious and pain reduced. Toronto Laser Hair Removal patients can expect good permanent reduction with the Duet as part of their program. The DioLaze (InmodeMD) is another high speed, pain reduced 810 nm diode laser hair removal device. At 4.75 cm2/second, the DioLaze is the fastest High fluence laser diode hair removal device on the planet. The Lighsheer and Vectus are fastest but with lower fluences and longer pulse duration. The Diolaze uses a scanned diode laser that is able to maintain high fluence’s of 30-40 J/cm2 and very short pulse duration of 30 milliseconds while with high speeds but still keeping the treatment comfortable. It is able to be a high fluence, short pulse duration high speed diode by having extremely efficient water cooler sapphire cooling. Toronto Laser Hair removal patients will find, the Diolaze 810 nm diode laser hair removal system delivers very high permanent hair reduction very comfortably and at high speeds. The Diolaze is manufactured by InModeMD, an Israeli company and by the same physicists that developed the Lumenis Lightsheer and the Syneron ELOS laser hair removal. Figure 6. The Diolaze 810 nm high speed, scanned laser diode hair removal device with “3P” cooling that is a cooling plate that cools the skin before, during and after the laser fires, so that the high fluence and short pulse duration is not painful, nor as dangerous. The GentleMax Pro: GentleLase 755nm Alexandrite and GentleYAG 1064 nm NdYAG laser hair removal device. The GentleLase and GentleYAG have very large spot sizes for optimal penetration and high energy fluence parameters to facilitate “best in class” destruction of hair follicles. What allows high energy and effective treatment is the use of a proprietary topical cryogen spray the strikes the skin just before the laser beam completely numbing and anesthetizing the skin to remove pain and discomfort. If that were not enough comfort, the a detachable air Nozzle provides directed cooling for additional comfort and skin safety. The large spot sizes, include the 20, 22 and 24 mm spot sizes that can deliver optimal energy at up to 3 pulses per second for very fast and comfortable treatments. Figure 7. The GentleMax Pro combines the world famous GentleLase 755 nm Alexandrite and the GentleYAG, 1064 nm NdYAG facilitating the treatment of both light and dark skin with brown, black or dark hair. Figure 8. The GentleMax Pro will treat the skin with cryogen spray just before the laser energy providing strong numbing to the skin so the laser energy does not hurt, thus providing painless hair removal for all skin types and body or face hair treatment zones. The Cynosure Elite, 755 nm Alexandrite and the Elite 1064nm NdYAG is a dual wavelength laser from the laser company Cynosure. The Elite has been one of the most popular laser hair removal devices in North America, as it is very versatile and gives great permanent reduction. The Elite laser, like the GentleMax Pro,has two “gold standard” wavelengths for Laser Hair removal, the 755 nm Alexandrite and the 1064 nm NdYAG, to optimize permanent reduction. The 755nm is very good for lighter skin types with dark hair and the NdYAG 1064nm is very effective and safe for darker skin types with dark hair. The Elite is very specialized and allows the physician/technicians to blend both the 755nm alexandrite/ 1064 nm NdYAG, in varying degrees within the same pulse configurations. The ability to kill more hair with two laser wavelengths fired at the same time, ensures more follicles and bulbs will be killed. Figure 9. The Elite 755 nm Alexandrite and the 1064 nm NdYAG laser hair removal device. Pain and discomfort is reduced with forced air cooling and both the 755nm and 1064nm can be fired and mixed in the same pulse, a proprietary process called MultiPlexing. Dr. Mulholland is shown working with the Elite 755nm and 1064nm dual wavelength laser removal system. Figure 10. The Elite allows the SpaMedica Hair removal technician the opportunity to blend both the 755nm Alexandrite and the 1064nm NdYAG laser hair removal wavelengths in the same pulse, a process called MultiPlexing, for better permanent reduction. The 1064 nm wavelength will attack the deeper hair bulbs and the 810 nm the more superficial. Other laser hair removal systems that may be deployed in your SpaMedica laser Hair removal program include the ICON, Max R IPL (Intense Pulsed Light) Hair Removal and the Syneron Comet. The ICON Max R, manufactured by Palomar-Cynosure uses Intense Pulsed Light, that can be a valuable adjunct in treating finer, smaller hair that can be difficult to kill with a true laser hair removal device. The Comet, manufactured by Syneron-Candela, blends together an 810nm diode together with bipolar Radiofrequency energy in the same pule. This unique combination of laser and bipolar RF can help kill finer and lighter colored hair. The Emax is another Syneron-Candela Hair removal device that combines IPL (intense pulsed light) and bipolar Radiofrequency or RF in the same pulse form. The Emax Hair removal applicator is also good in helping to kill finer hairs and hair with less pigment. Figure 11. The ICON Max R from Palomar-Cynosure. The IPL (intense pulsed light) can help kill finer and lighter color hair. Figure 12B The ELSO combination energyIPL and Bipolar RF Emax, also manufactured by Syneron -Candela. The Motif Vantage is another new Syneron Candela Laser hair removal device that combines the 810 nm diode laser with pulsed bipolar radiofrequency energy (BRF). The combination of the 810 diode with bipolar RF means that darker skin can be treated with less 810 energy by bundling the bipolar RF electrical energy to attack the hair bulb with less risk of injury to the dark skin with the more melanin concentration. The impedance in the skin can be monitored to turn the RF energy off when temperatures get potentially dangerous. The large spot size, slide and glide technique and repetition rate of the Syneron Candela Motif make the treatment very, very fast. The strong chill tip makes the MOTIF treatment very comfortable. Figure 13. The MOTIF Syneron Candela 810 nm diode and bipolar RF allows less optical energy and compensates with strong bipolar RF energy to effectively treat hair follicles with less laser optical energy making this device very safe on darker skin types. At 10 Hertz (10 pulses per second) with strong dynamic cooling large zones can be treated very quickly and comfortably. The MOTIF, like the Comet sends the optical 810 nm diode laser energy into the skin to pre heat the bulb, damaging it. The pre-heating decreases the impedance in the dermis and the RF (radiofrequency energy), which travels the path of least resistance, then flows through the blub providing additional thermal energy to completely kill the hair bulb without potentially dangerous heating of the skin. This interaction of laser and RF is called ELOS, or electro-optical synergy and is an elegant way of treating darker skin in addition to the GentleYAG 1064nm and Elite 1064 nm NdYAG lasers. The addition of the strong chill tip, pushed the bipolar RF energy deeper into the skin. Figure 14. The MOTIF delivers ELOS energy to the hair bulb. Less aggressive amounts of diode laser energy is emitted first, pre-heating and injuring the bulb. As temperature rises, the dermal tissue impedance around the bulb drops and bi-polar RF, which travels the path of least resistance then travels preferentially through the bulb providing additional selective and destructive thermal injury to the bulb. The ELOS mechanism minimizes the aggressive laser optical energy on the skin, which in darker skin types, with more melanin can lead to complications. Thus the MOTIF is another laser SpaMedica can use on darker skin patients, together with the NdAYG 1064 nm lasers to ensure safe and optimal permanent hair reduction. Learn what results you can expect and discover the benefits of laser hair removal Toronto patients can experience. What are the Fitzpatrick skin types and how are they important to laser hair removal? The Fitzpatrick hair removal skin typing has been established by physicians and laser hair removal specialists to assess parameters, settings and wavelength of laser hair removal that needs to be matched and applied to the specific skin type of the patient. The Fitzpatrick skin type classification, stratified laser hair removal patients according to the amount of melanin in their skin and the reactivity of the melanin to sun exposure. Skin type I and 2 patients a very light skin, with dark hair, have with very little melanin in the skin and do not react aggressively or easily to some sun exposure and do not tenuously. If these patients have dark hair they are excellent candidates for laser hair removal, permanent reduction of their hair with low risk of complication. Skin type 3 patients have more melanin in their skin and when exposed to sunlight will sometimes tan, but usually burn first. These patients require more conservative parameters and settings than skin type I and 2 laser hair removal patients and if they have dark hair will also respond with good permit production following a laser hair removal program. Skin Type 4 patients have brown skin and more skin melanin concentration and tan easily when exposed to the sun. Skin Type 4 patients often include Hispanic, Mediterranean and Asian skin types. Using the 810 nm Diode, or the 1064 nm NdYAG lasers with modified laser hair removal settings, using a longer pulse duration, longer hair removal wavelength, and lower energy. We need to treat darker skin patients safely with safer laser hair wavelengths and parameters and light brown skin patients can often get good very good permanent hair production. Skin type 5 an 6 patients have dark skin, with a higher melanin concentration and often respond aggressively to permit laser hair removal with a 1064nm NdYAG or 810 nm diode and extreme caution in selecting the right wavelength and parameter. Skin type 6 patients are often African-American and Caribbean patients and have very dark to black skin and require the most conservative wavelengths of light, often the 1064 NdYAG, low-energy and very long pulse durations to facilitate safe and effective laser removal. Is laser hair removal Painful and what kind of anesthetic is used? The SpaMedica laser systems have built-in cooling systems; cold air systems or water-cooled tips that greatly reduce the discomfort during laser hair removal. In addition, topical anesthetic cream is usually deployed to minimize pain and discomfort. For the most part, Laser Hair Removal treatments has become very, very comfortable. The GentleMAX Pro laser uses a spray of cryogen to cool and freeze the skin, just prior to the laser beam is released. With all these very good Laser Hair Removal Devices, how do you combine them in a program? In general, the SpaMedica laser hair removal program is a series of 5 treatments, performed as new hair grows after the last treatment. The concept is using the right wavelength, pulse duration and energy to kill as many hair bulbs as possible, which means switching wavelengths and switching pulse durations energies to ensure as many “stubborn” and difficult to kill bulbs are treated. For larger hair removal zones, the high speed, 810nm diodes are used, the Triton, Vectus, Diolaze and/or LightSheer Duet for the first three-four treatment sessions. For the last two treatments, a specific laser such as the Triton DuoLight and Duo Dark, or the Elite, with the 755nm Alexandrite and the 1064nm NdYAG, or the GentleMAX PRO GentleLAZ 755 nm Alex and the 1064 nm GentleYAG laser are used, often in combination. If there are resistant, finer, lighter hair, then the MOTIF Vantage, ICON Max R IPL, the Comet 810nm diode-RF or Max G IPL-RF may be deployed. By deploying this unique combination of laser, light and RF energy, patients can enjoy the best results. What kind of anesthetic is used for laser hair removal? The SpaMedica laser systems have built-in cooling systems; cold air systems or water cooled tips that greatly reduce the discomfort during laser hair removal. In addition, topical anesthetic cream is usually deployed to minimize pain and discomfort. For the most part, laser hair removal treatments have become very, very comfortable. The GentleMAX Pro laser uses a spray of cryogen to cool and freeze the skin, just prior to the laser beam is released. What is Pro-Nox™ and can it be used during Laser Hair Removal? Pro-Nox is a new, high tech, safe, inhalational nitrous oxide (laughing gas) that can be used during laser hair removal, injectables and other treatments that can be associated with discomfort or pain to make the treatment comfortable. Figure 15. Pro-Nox is a safe, inhalational mixture of nitrous oxide (laughing gas) and oxygen to greatly reduce the discomfort associated with procedures. Figure 16. The Pro-Nox works by releasing neurotransmitters in the brain responsible for pain and anxiety relief to make the laser hair removal treatment more comfortable. The nitrous oxide – Oxygen combination is inhaled during the treatment. The Nitrous oxide acts as a pain reliever making the discomfort of a laser treatment more comfortable. The Nitrous oxide crosses through the lungs into the blood stream almost instantly and very quickly results in the release of endorphins (“feel good neurotransmitters), dopamine, serotonin and other natural pain relievers in the brain. The Pro-Nox works within 2-5 minutes and has an analgesic as well as an anti-anxiety effect. It does not always relieve all pain from a treatment but creates a continual awareness of pain without feeling bothered by it, like a pleasant disassociation. The effects of the nitrous oxide wwear off in 10 minutes and the laser patient can then legally drive home, without the risk of legal impairment. Can laser hair removal be painless? There’s always a degree of discomfort following any aesthetic treatment that has long-term results such as BOTOX Injectable®, soft tissue fillers and photo-rejuvenation and, as such, laser hair removal can be associated with some laser discomfort. In general, however, with topical anesthesia and the dynamic cooling tips, cryogen spray, air coolers and even inhalational PRO-NOX, deployed with modern laser systems, laser hair removal is very tolerable and even comfortable, while being very effective and permanently killing hair. How long does the laser hair removal procedure take? A single laser hair removal treatment takes approximately 5-10 minutes for a small-to-medium zone. For larger zones, such as lower leg, full leg or a man’s back, high-speed efficacious 810 nm, laser diode systems are deployed such that the treatment can be done in the same 6 to 20 minutes. Very small zones, such as the upper lip, chin or sideburn can be performed in two minutes. In general, most patients should anticipate 30 to 60 minutes when coming for their hair removal session, as they often need to put the numbing cream on, be prepared, have the area exposed, undergo the treatment, be cleaned up and then re-clothe. It is important to remember that laser hair removal is a program, or a series of treatments, not a single treatment. For the face and the neck region, treatments are usually performed when there is re-growth after the previous laser hair removal session, every four to six weeks and generally five treatments will result in 80% permanent hair reduction in approximately 50% of all patients. For the underarms and bikini, treatments, in general, every eight to ten. For large zones, such as half legs, full legs or entire backs, five treatments are required, every eight to 12 weeks. Total body hair removal generally involves the removal of two large zones combinations such as full leg or a full back with a bikini, underarm and facial hair. How long is recovery following laser hair removal? In general, individuals that have been treated with adequate energy in the right wavelength will have some redness and small bumpy swellings in the areas of the hair shaft for four to eight hours following the treatment. In unexposed areas, such as the legs, bikini and underarm or back and legs, this is not generally a concern. However, when treating facial area, it may mean that individuals may have to wait until the following day to return to work. Figure 17. The inner thigh of a diode laser hair removal patient immediately after treatment. There can be redness and bumps that can last several hours to several days. Occasionally there can be ingrown hairs that take several days to express. Most Toronto Laser Hair removal patients can go back to regular activities that same day. Sun tanning should be avoided for 10 days to 2 weeks following a laser hair removal session. What kind of results can I expect following my SpaMedica laser hair removal program? At SpaMedica, we combine the most efficacious wavelengths of laser light for your skin type and hair type. You can expect 50-80% permanent reduction of hair after your laser hair removal program. Dr. Mulholland has created Canada’s most comprehensive hair removal program that deploys the following laser systems – the Triton all 3 wavelenghts in one device, the LightSheer 810 nm diode, the Vectus High speed diode 810nm diode, in combination with the GentleMax Pro and Elite lasers which have the 755 nm alexandrite laser and1064 nm Neodymium YAG (Nd:YAG), as well as the DioLaze 810-nanometer scanned diode laser. For resistant finer, lighter colored hair, with intense pulsed light (IPL) and radiofrequency systems, including the ICON™ Max R, the Elos hair removal and Sciton®’s BBL™ intense pulsed light hair removal. Figure 18. The Sciton BBL Intense Pulsed Light Hair Removal System. The BBL 755nm cut off IPL filter can be very helpful to kill resistant coarser, darker hairs that are resistant to the other lasers. With this many hair removal systems available at SpaMedica, Dr. Mulholland can give you the guarantee of the highest possible permanent reduction you can achieve for your unwanted hair possible today. In general, lighter-skinned individuals with dark hair will receive the Triton Duo Light 755 nm + 810 nm , or the 810-nanometer LightSheer®, Vectus™ 810nm diode and Diolaze 810nm diode hair removal treatment. The first three treatments of your five treatment program will be with this family of 810-nanometer diodes. When you return after each session for the next treatment, the efficacy of the previous treatment will be assessed and the fluence and pulse duration may be altered and the aggressiveness of the treatment increased if needed. After three sessions with the 810-nanometer diode laser systems, SpaMedica will start treating with an Elite or GentleMax Pro 755 nm Alexandrite in combination with a 1064nm NdYAG wavelength of light for the second three sessions. The Elite and GentleMax Pro will allow both the 755nm Alexandrite and the NdYAG 1064nm to be fired in the same pulse, leading to a higher degree of permanent reduction. Thus, after six sessions, your hair bulbs.follicles and hair bulges have had the best combination of the 810 nm diode, the 755 nmAlexandrite and the 1064 nmNeodymium YAG wavelengths . All possible follicles in the treatment zone will have been exposed to wavelengths of light they may be most susceptible to and you will achieve the best possible permanent reduction. Darker-skinned individuals, such as Asian, Hispanic, Indian and Canadian-Caribbean patients will generally receive starting treatments with the Triton Duo Dark Hand piece that releases the 810 nm + 1064 nm in the same pulse. The Vectus, LightSheer Duet and Diolaze 810nm diode with lower energy and longer pulse durations may also be used. After three sessions of the Triton, or the 810nm diode, the 1064 nm Neodymium YAG is then usedin combination with a lower-fluence 755 nm treatment with the Elite Multiplexor GentleMax Pro for the first three sessions. Assessing response to this wavelength and fluence and permanent reduction, the 4th-6th treatments may be continued with the 1064nm and 755nm combination or the 810-nanometer diode with longer pulse durations and lower fluence may be deployed. Again, combination therapy for darker-skinned individuals, using longer wavelengths of laser hair removal light with appropriate pulse durations are deployed. Individuals of a darker skin tend to have a higher risk of post-laser hair removal hyperpigmentation and, as well, a phenomenon called synchronization of growth cycles, or paradoxical growth of more hair, leading to more hair density than at the beginning of treatment (this is fortunately very rare). Rarely, increase hair density occurs when, after a series of treatments, some hair follicles are permanently reduced and others that would have been in telogen phase become anagen hair growth cycles and they synchronize with each other so the appearance of the hair in the region is actually more than when the patient started. This kind of synchronization is rare and at SpaMedica, as we have multiple wavelengths of light to optimize permanent death of even those hairs that have synchronized. Figure 20. Two female patients with darker skin and dark hair. For Darker skin, this will require special lasers and wavelengths. These patients with darker skin are able to safely and effectively treat their hair at SpaMedica, with the wide array of lasers that Dr. Mulholland uses. What are patients saying about their SpaMedica laser hair removal program? Many Toronto hair removal patients we see have gone to other centers that may be extremely low cost, but are usually far less experienced and generally only one type of laser wavelength deployed. These patients treated at other centers often become frustrated as they may have undergone 8-16, even over 20 or more treatments, but they don’t see a tremendous permanent reduction after the first two or three sessions. The reason for this is because some of the follicles are going to be deeper; more difficult to access with the wavelength of light, lower energy, or longer pulse duration that has been selected. When no other wavelength of laser energy or no other lasers are available, you can’t expect to get enhanced permanent reduction. At SpaMedica they get a very affordable hair removal program, when considering that they get far better permanent reduction with multiple industry leading lasers.Also, they get the experience of SpaMedica technicians that have been performing laser hair removal for many, many years which creates a lower risk of adverse effects. How long will the results of my program last? After a series of five treatments, most patients will notice between 50% and 80% permanent reduction. Those hairs that are not permanently reduced will be made smaller (micronization), finer and not as dark and will also synchronize growth cycles. Synchronization of the hair growth cycles after 5 treatments and after 70% or 80% reduction is generally desirable because we also prolong telogen, or the sleeping phase. Most patients will experience hairlessness for many months in each area following your program. Is there any maintenance required following my SpaMedica laser hair removal program? Most patients who complete the SpaMedica hair removal program using multiple laser wavelengths will achieve up to 80% or more permanent hair reduction. However, there are 20% of the hair shafts that will still grow. Many SpaMedica laser hair removal program patients join the SpaMedica hair removal club. These are patients who have completed the five-treatment package hair removal program and can come back anytime when there is regrowth of resistant hair for a low-cost, fast laser removal, which will again provide a prolonged sleeping (telogen) phase of months in duration. The SpaMedica laser hair removal club is faster, more effective and efficient than waxing, shaving or electrolysis. How much will my SpaMedica laser hair removal program cost? We can generally do total body hair removal in approximately 30 – 45 minutes. We’re able to pass on some cost savings because of our speed and laser efficacy. In general, small-zone laser hair removal can be a pay-as-you-play treatment from $199.00 and up, depending on the size of the area, a large-zone hair removal can be several hundred dollars and very affordable. One of the most popular laser hair removal packages is the five-pack program. With the five-pack, you get the best cost savings for paying for your laser hair removal treatment package up front. Total body hair removal packages are starting at $3,999. Why choose SpaMedica and Dr. Mulholland for my laser hair removal program? SpaMedica and Dr. Mulholland have been pioneers in laser hair removal and continue to be at the forefront of the development of new high-speed and efficacious technology. By selecting SpaMedica, you will be assured that you get the best possible experience to minimize any risks or complications. In addition, you will also get the best possible wavelengths of light to ensure the highest possible permanent reduction available. Maintenance and skin type information. Q&A with Dr. Mulholland: What kind of maintenance and skin type is best for laser hair removal? 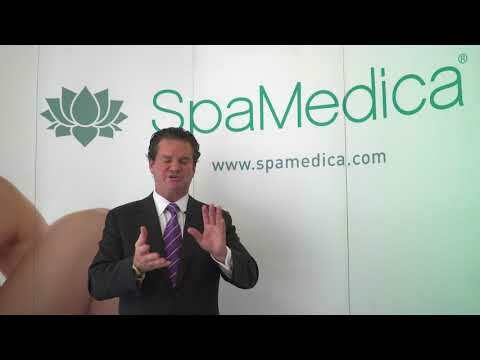 Learn from Dr. Mulholland about your options and cost for laser hair removal at SpaMedica. To schedule a consultation for a SpaMedica laser hair removal, simply call the 1-800 number on this SpaMedica website page, engage in LIVE CHAT, or e-mail a consult request form and a SpaMedica client service representative will respond promptly. Call now and schedule a consultation and treatment to begin your smooth, shaving-free, hairless skin.